As the diamond industry enters Y 2017, Q-1 demand for rough has been stronger relative to Q-4 2016 and also relative to a year ago. The US is the largest diamond jewelry market in the world representing 45% of global demand. Christmas season Y 2016, albeit mediocre, and a strong 2017 Chinese New year has driven seasonal restocking demand, and most, but not all, Indian cutters have begun to show signs of recovery after the initial shock of the demonetization last year. Last year, most miners liquidated excess rough inventories which they accumulated in Y 2015, and have since ramped-up production into Y 2017, resuming more normal pre-indigestion output levels of three years ago. Demand growth this year is likely to come from a post-election US market where employment is stable and the stock market is at an all-time-high, driving positive sentiment that should translate into discretionary spending. China, the world’s 2nd largest jewelry market, at 16% of global demand, should be driven by continued government stimulus and an ever-expanding middle-class consumer. India, representing 8% of the market, should show improvement year-over-year as domestic demand for jewelry returns as the demonetization impact is digested, especially in the second half of the year. Near-to-medium term risks to the industry are primarily tied to macro factors in the industry’s most important markets. For instance: the US economy struggling to digest tighter monetary policy, Chinese economic deleveraging, a longer than expected recovery in the Indian market post-demonetization, signs of further disintegration of the Euro-zone, and protectionist pressure on global trade. Rough diamond prices ar + 0.9% YTD, and polished prices are down 4.1%. In FY 2016, rough and polished were both up, 13.2% and 2.1%, respectively. 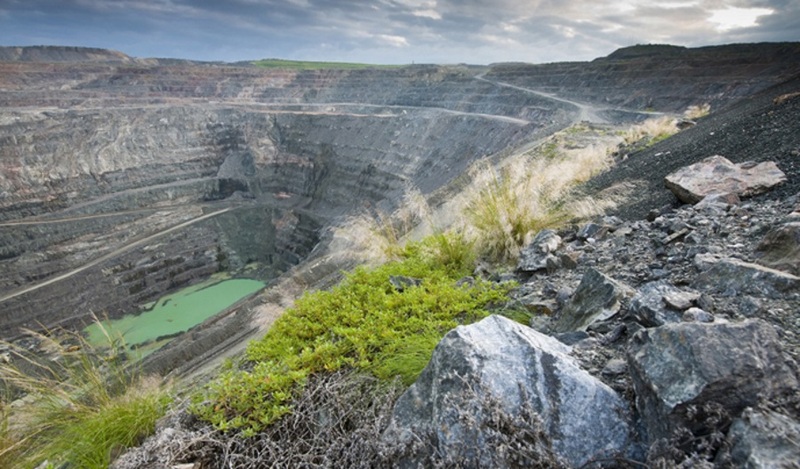 A year ago, De Beers’ parent, Anglo American’s (LSE:AAL), credit default swaps were trading at a precarious level implying the company was in danger of a liquidity crisis; the stock traded at a multi-decade low. The company responded with an aggressive strategy to sell-off non-core assets, reduce debt, and restructure the company with a primary focus on diamonds, platinum and copper going forward. Anglo credit default swaps normalized by the end of the year, and the stock rallied over 300% from the low in January. By year-end, the company produced $2.6-B in free cash flow (operating income minus capital investment), which far exceeded the company’s February 2016 guidance of $400-M (and the negative $1.0-B in Y 2015). In Y 2016, diamonds via De Beers contributed 23% towards Anglo’s earnings on an EBITDA basis, followed by iron ore at 22%, metallurgical coal at 16%, copper at 15%, thermal coal at 12%, and platinum at 9%. While iron ore and coal were the stars of Anglo’s portfolio in Y 2016, EBITDA from diamonds was up 42% over Y 2015, as rough diamond sales exceeded $5.6-B (from selling 30.0-M carats), which compares to $4.1-B (from selling 20.0-M carats) in Y 2015. De Beers strong trend in diamond sales continued into Y 2017, as the 1st sale of the year, ending on 20 January, grossed $729-M, making it the company’s single largest sale since mid-2014, and represented an increase of 34% over the equivalent sale in Y 2016, 62% over Y 2015, and 4% over Y 2014. In addition, De Beers felt that demand was strong enough to justify a 4-5% price increase in sizes greater than ¾ carats. In the company’s second sale of the year, which ended on 20 February, demand was stable but not nearly as impressive as in January, coming in at $545-M, which compared to -12%, -1%, -16%, Vs Y’s 2016, 2015, and 2014, respectively. De Beers is guiding Y 2017 production of 31-33-M carats, which on the low-end would represent a 14% increase over Y 2016, and on the high-end 21%. In Y 2016, De Beers produced 27.3-M carats, which was a 5% decrease, compared to the 28.7-M carats produced in Y 2015. The production decrease in Y 2016 was part of a strategy to reduce global diamond supply and allow the supply/demand balance to normalize following an industry-wide diamond stock indigestion which accumulated primarily in Y 2015. The supply curtailment worked, and a pickup in demand in Y 2016 flushed the excess supply held by the manufacturers and retailers, and it also allowed De Beers to sell excess rough inventory held, primarily of smaller and lower-quality diamonds, in the $60-80/ct range. De Beers unloaded a total of $300-M, or 4.7-M carats, of excess inventory in Y 2016, and ended the year with a more normal inventory level of approximately $1.2-B, or approximately 19-M carats. In Y 2016, Russian diamond major ALROSA (RTS:ALRS), sold 40.1-M carats for $4.3-B, which compares to 30.0-M carats sold for $3.4-B in Y2015. ALROSA has indicated that Y 2017 production will “remain at least flat year-over-year, or increase slightly.” The company produced 37.2-M carats in Y 2016, eclipsing De Beers on a production volume basis by 36%. Despite the big number, ALROSA’s production was down 2% compared to Y 2015, as the company pulled back production at more flexible alluvial operations in an effort to strategically reduce global diamond supply along with De Beers following the indigestion from Y 2015. The company’s production capacity is approximately 41-M carat, so the company is expected to produce at 91% of capacity in Y 2017. As 2nd largest diversified miner in the world (BHP Billiton (NYSE:BHP) is #1), Rio Tinto (LSE:RIO), owns and operates the largest diamond mine in the world by production volume, Argyle in Australia. The company’s only other diamond asset is a 60% stake in Canadian mine Diavik. 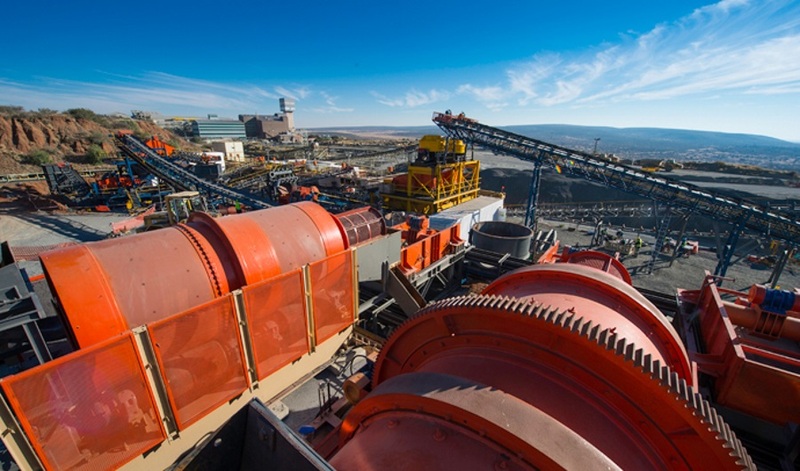 Both mines realized a production increase of 4% in Y 2016, despite indications early in the year that the company would reduce production in sympathy with De Beers and ALROSA’s plan to curtail supply until industry fundamentals improve. 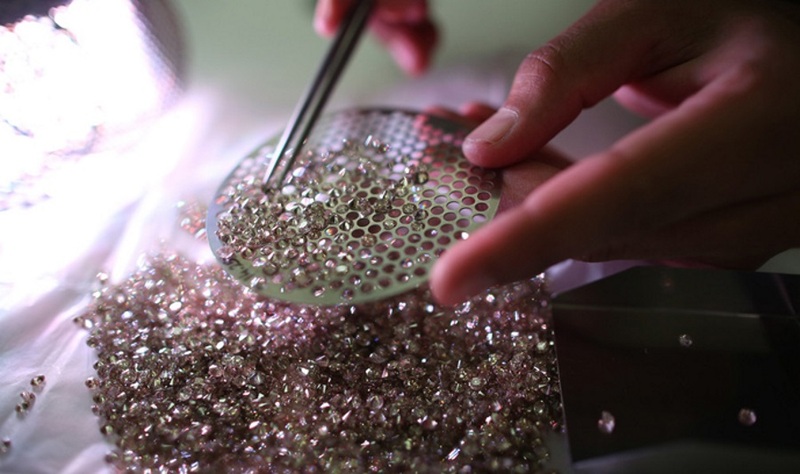 Production net to Rio in Y 2016 was 18-M carats, 14-M of which came from Argyle. The company recently provided a wide-ranging production guidance figure for Y 2017 of 19-24-M carats. Rio’s current official plans are to keep Argyle open until Y 2021, however the company took a $241-M impairment charge on the mine last year. The impairment could be an indication that Rio may not proceed with financing the second stage of underground block cave development at the mine, which would mean only about two more years production. However, in December, Rio’s CEO Jean-Sebastien Jacques said that diamonds are a priority area of growth for the company. But, given the company’s uncertain plans with Argyle, the gifting away of its only diamond development asset, the Bunder project in India, last month, and the selling of its 78% stake in Zimbabwe producing asset, Murowa, in Y 2015, Rio’s longer-term diamond plans are unclear. Similar to the other large diversified miners, Rio is flush with cash after a much better than expected Y 2016 driven by iron ore and coal, generating $5.5-B in free cash flow, so maybe a diamond asset acquisition is in Rio’s future. When Argyle closes, Rio’s only remaining diamond asset would be its 60% of Diavik. For the 2nd largest diversified miner in the world, it wouldn’t seem to make sense for a company that thrives on economics of scale to only hold one diamond asset. Making an acquisition to acquire more producing assets or selling its remaining asset and exiting diamonds all together seems more likely. 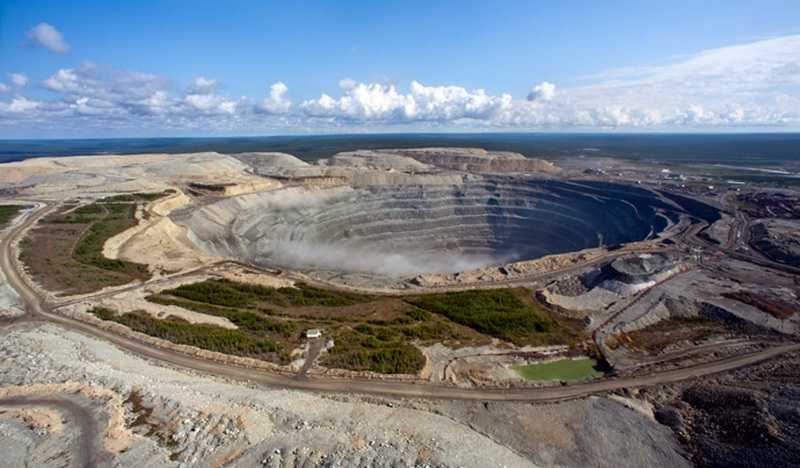 Rio’s 40% partner in Diavik and majority owner of Northwest Territory neighboring Ekati mine, Dominion Diamond (TSX, NYSE: DDC), may be an attractive acquisition target for Rio. Expansion projects at both Diavik and Eakti are planned to extend mine lives to Y’s 2023 and 2034, respectively. Dominion has stated that internal estimates call for Diavik and Ekati to produce $1.0B and $2.9-B in net free cash flow from Y’s 2018-2023 and 2018-2034, respectively. Both mines are among the richest in the world on a value-per-tonne basis because of the high concentration of diamonds in the ore, although, the average value of the diamonds is on the lower end. In Q-4 of Y 2016, Diavik diamonds sold for $112/ct and Ekati only $77/ct, which is indicative of the quality of diamonds these mines will be primarily producing going forward. Lower-quality diamonds, primarily sub-$100/ct, are currently out of favor and have been the most impacted by India’s demonetization, so there is room for improvement in the value of Dominion’s diamonds as conditions in India normalize throughout the year. Dominion has provided production guidance of 9.1-10.0-M carats for their fiscal year ending 31 January 2018. In the 12-months ending 31 January 2017 Dominion produced 7.9-M carats, a challenging year for the company as the Ekati mine was disrupted by a processing plant fire that resulted in approximately 1-M carats of lost production. The company held $198-M in cash as last reported, has no debt, and has the potential to generate significant free cash flow in Y 2017 in the $150-M range, even with diamond prices at current marks. Dominion has confirmed it will pay a regular dividend of at least $0.40/sh in 2017, which currently yields 4.7%. Petra Diamonds (LSE:PDL), the London-listed, South African producer that owns and operates a portfolio of 5 ex-De Beers mines is guiding to grow production from current level of 4.5-M carats to 5.3-M carats by Y 2019 as it produces higher-quality ore from its Cullinan and Finsch mine expansion projects. Petra’s inventory has remained relatively stable for the last 3 years at $45-55-M as the company did not participate in supply reduction post-indigestion as did De Beers and ALROSA. Petra expects to be free cash flow positive by mid-2017 as production ramps up and cash allocated towards the expansion projects declines. Lucara (TSX:LUC, OTCMKT:LUCRF), the single-asset producer, but owner of the world-class Karowe mine in Botswana, has guided to produce 290-315-K carats in Y 2017, which compares to 354-M carats in Y 2016. In Y 2017, the company will continue to mine the rich South Lobe portion of the Karowe ore body, which is known to produce exceptional diamonds such as the Lesedi La Rona, the 2nd-largest rough gem-diamond ever produced, which was uncovered by Lucara in Y 2015. After failing to meet the reserve price with a high bid of $61-M at a Sotheby’s (NYSE:BID) auction last Summer, the Lesedi La Rona is expected to be sold through private channels in Y 2017. A selling price of less than $70-M would be a disappointment, a price close to or above $100-M would be an Northside surprise. With 382-M shares outstanding, a $100-M sale would equate to $0.26/share. The current stock price is $2.10 (C$2.78) and has a dividend yield of 3.6%. Gem Diamonds (LSE:GEMD, OTCMKT:GMDMF) currently operates only one mine, Letšeng in Lesotho, but it produces some of the highest quality diamonds in the world. In Y 2016, the mine produced 108-Kdiamonds that averaged $1,695/ct. However, last year Letšeng saw a decrease in notable stones recovered, as it only produced 2 diamonds that were both >100ct and >$10k/ct, compared to 7 in both Y’s 2015 and 2014. The Angolan state-run diamond miner, Endiama, produced 9-M carats at $119/ct in 2016, Vs 8-M carats at ~$150/ct in prior years. The company said it would “slightly” curtail production in Y 2017 to help support global prices, until its new world-class mine, Luaxe (also referred to as Luachi), goes into production, which could be as early as next year. Currently the Catoca mine represents the company’s largest share of production, at about 75%, but according to unofficial communication from Endiama, the Luaxe project has the potential to produce almost 12-M carats annually, which would be almost double what Catoca is currently producing. 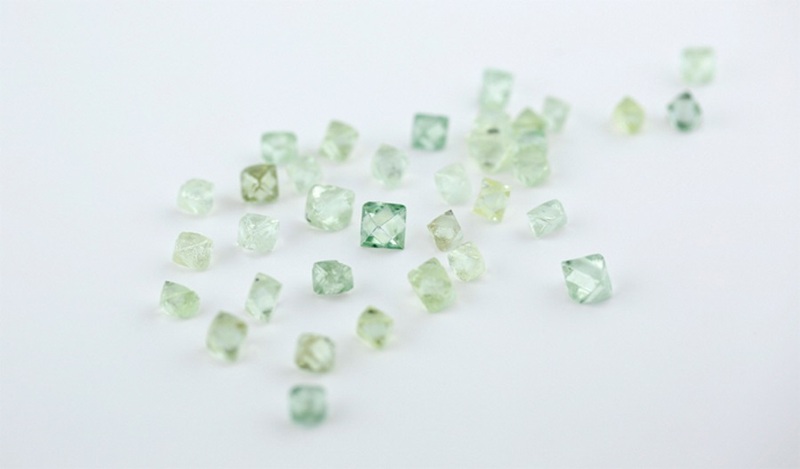 Production at the Marange alluvial diamond fields in eastern Zimbabwe, with a soiled history of civil rights abuse, and illegal production and trade, was likely to be less than 2-M carats in Y 2016, and is expected to fall even further in Y 2017. The mines produced as much as an estimated 17-M carats, albeit very low-quality diamonds, as recently as 4 years ago. US based Diamond Foundry (private) is focused on the jewelry market, while Russia’s New Diamond Technology (private) is only using the jewelry market as a stepping stone, as its sees high-tech application as the most lucrative channel for lab-created diamonds. Monthly lab-created production, fabricated to be sold as jewelry, is only in the tens-of-thousands-of-carats range, compared to mined natural diamond production, which is in the 10-11-M carats/month range. Most synthetics are being sold directly from the manufactures, or on “Memo,” or consignment, at jewelers. The lack of motivation for jewelers to push product is limiting product awareness, and new customers opportunities. The current environment is indicative of the significant investment in branding, advertising, and distribution necessary for synthetics to effectively penetrate the jewelry industry. In Y 2016, industrial-application synthetic diamond demand was hurt by a depressed global oil and gas industry. Most, over 90%, of industrial grade diamonds are provided by synthetic production, mostly in China and India. The balance comes as a by-product of mine production. ALROSA’s industrial-grade diamonds are currently selling for $6/ct compared to $7-8/ct a year ago. However, a recent uptick in drilling for Crude Oil should incentivize year-over-year growth in oil and gas drilling and equipment that utilize diamonds as abrasives. Early-2016 diamond manufacturer restocking demand, after a stronger than expected Y 2015 holiday season, combined with De Beers’ and ALROSA’s production curtailment, alleviated most of the industry-wide inventory indigestion by 2-H of Y 2016. However, just as diamond supply/demand dynamics were beginning to normalize, India’s surprise demonetization in November threw another blow at the already recovering industry. Over 90% of diamonds, by volume, are cut in India, a business that is heavily reliant on cash transactions. In addition, India has become the 3rd largest end-consumer of diamond jewelry in the world, at 8% of global demand, so the restriction also impacted domestic jewelry consumption as most Indian consumers are accustom to cash purchases. The implication has primarily been felt on lower-quality rough diamonds, those that sell for less than $100/ct, produced at mines like Rio Tinto’s Argyle, Dominion’s Ekati, Petra’s Finsch, ALROSA’s Aikhal, and alluvial operations around the world. Demand for these stones are typically driven by the hundreds of small, independent, cash-reliant Indian manufactures, which buy on the secondary market; a lot of stones in this category eventually end up being purchased domestically by Indian jewelry consumers. Most of the smaller and medium sized Indian business that will survive are expected to have integrated more-transparent, digital payment processes by 2-H of the year. 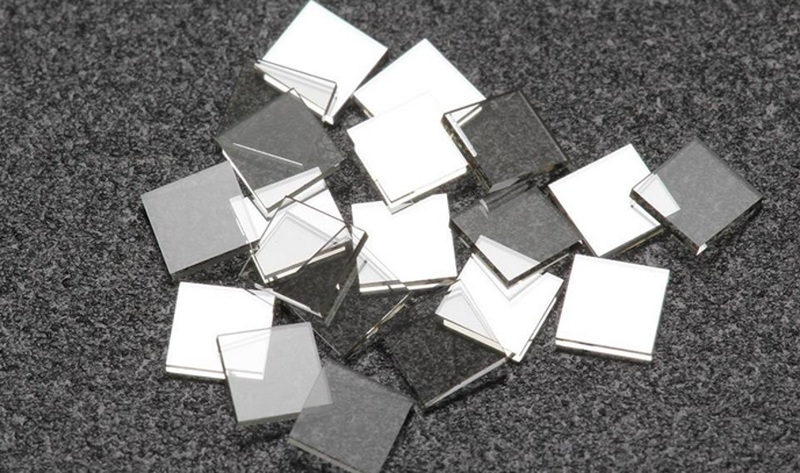 The result will be a pickup in demand for lower priced rough, as the these manufacturers bid to restock, competing to fill a pending shortage of smaller, lower-quality polished in the market that will be felt around Q-2 of Y 2017. Domestic consumption in the US was relatively stable, however, uncertainty surrounding the November election had a minor impact on consumer spending, and post-election protesting outside of the company’s flagship location in New York, which is adjacent to the Trump Building, notably impacted sales. Japan, representing 18% of Tiffany’s business, was the company’s best performing region on a SSS basis through November 2016. Japanese growth was driven by domestic consumption, however, a stronger yen has deterred Chinese tourism spending in the country. Mainland China, South Korea, and the UK were also notable positive markets for the company, in addition, Hong Kong showed a decelerating sales decline. Europe, ex-UK, especially France, Australia, and Singapore were marginally weaker. 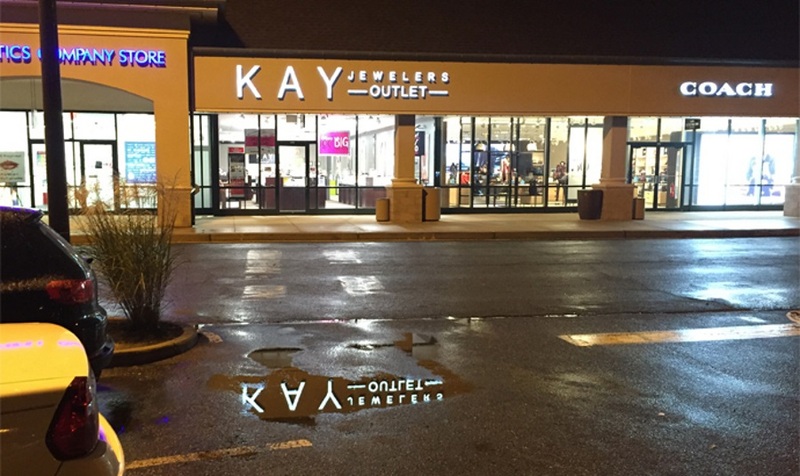 Signet (NYSE:SIG), parent of Kay Jewelers and Zales brands, is the U.S.’s largest jeweler. The company’s Fiscal Q-4, which runs from November through January, and typically accounts for half of the company’s annual profit, showed a SSS decline of 5% through mid-January. Greater China proxy, Chow Tai Fook (HK:1929), showed positive same store sales growth in Q-4 of Y 2016 for the 1st time in 6 Quarters. The percentage of the company’s revenue from gem-set jewelry has been increasing over the last 5 years, from 22-27%, and revenue from Gold has been slightly decreasing from 56-54% over the same frame. Although, recent performance has been driven by Gold sales, as the metal has been less expensive, down about 12% in Q-4 of Y 2016. Note: Paul Zimnisky is an independent diamond industry analyst and consultant. He can be followed on Twitter@paulzimnisky.